It started two years ago, in the Chicago studio of renowned advertising photographer Sandro Miller. 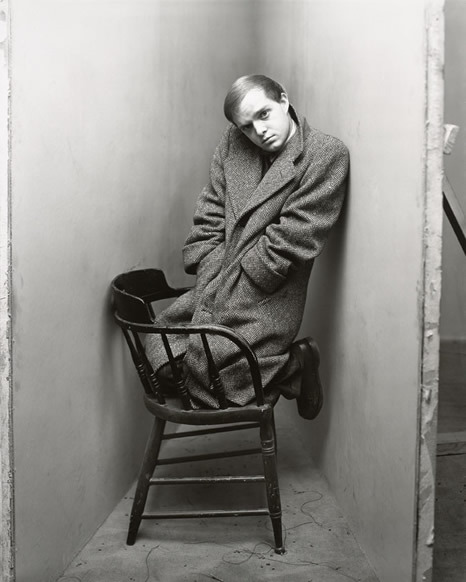 Hollywood star John Malkovich donned Truman Capote’s too-long overcoat, crouched in a makeshift corner and, for a short time at least, became Capote, as the author had been captured in Irving Penn’s famous 1948 portrait. Throughout their more than 15 years of friendship, Miller said, Malkovich would stride into the Chicago studio feeling confident and adventuresome. But to propose this project — an ambitious effort to re-create some of the most iconic images in photography with a single, famous subject — Miller boarded a plane to Malkovich’s home in France. There, he outlined his vision. Months later — and “tens of thousands” of dollars spent on elaborate costumes, makeup and wigs — Malkovich was once again in that Chicago studio, moving skillfully from one set to another, becoming any and everyone, from Marilyn Monroe to Muhammad Ali in just four days. The finished product encompasses more than 30 elaborate re-creations and is fascinating because of and apart from its inspiration. Miller said that the goal was more homage than parody. “He’s probably the most confident man I’ve ever run across,” Miller said of Malkovich. “The Marilyn Monroe –there’s eye lashes, eye liner — he had to go to that very, very feminine side of him and really feel what Marilyn was feeling. Five of Miller’s photos from this project are at the Chicago Expo and the full project “Malkovich, Malkovich, Malkovich — Homage to photographic masters series” will be exhibited at the Catherine Edelman Gallery in Chicago in November. Miller said they he is also in talks with galleries in Los Angeles, Dallas, New York, Paris and Italy about displaying the work.